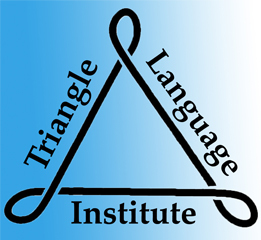 The Triangle Language Institute provides private language lessons for those who would like to learn or improve their communication in English, French, Brazilian Portuguese, Spanish, and Italian. For group language classes in the Triangle, please click here. Pam has a BA from Wake Forest University and an M.Ed. in teaching English as a Second Language (ESL) from Meredith College. She is certified to teach ESL and foreign language in North Carolina, her home state. She has lived in France, Ecuador, Brazil, and Italy. She loves learning and teaching languages. Since 1994, Pam has taught in a variety of settings including NC State University, Wake Tech Community College, Universidad de San Francisco de Quito, Wake County Public Schools, St Timothy’s Elementary School, St. Timothy’s-Hale High School, Triangle Learning Consultants, SKEMA Business School, and for businesses and individuals in the US and abroad. “Pam is the best language instructor I’ve ever had. And I had many working on my English to be able to attend a US university for a master’s degree. She helped me one on one with my pronunciation correctly identifying my weaknesses and proposing ways to solve them and making me practice and practice and practice. “We had a marvelous time on our family trip to visit relatives in Italy. All thanks to your superior language lessons!” – Carol T.